With Remembrance Day, Veterans Day, and American Thanksgiving this month, it seemed like a good opportunity to come up with a challenge of thankfulness. So have fun, remember family & friends, enjoy and revel in all that there is to be grateful for. Link up projects through here and with the tag #ecnov2018 on social media channels. Into the Night Dare with her Into the Night entry. Helen please email Katelyn at info@emeraldcreek.co for your prize code. 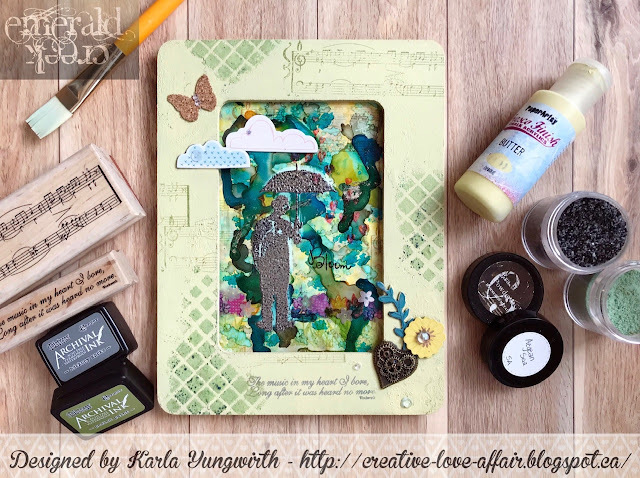 to receive a badge to post on your blog and a special 20% off discount code. on your posts as well so we can reference them and if you add and tag various Emerald Creek product you will get a bonus entry. At the end of the month we will pick a winner and send a prize pack to the Winner as well as link up their project and share it out. 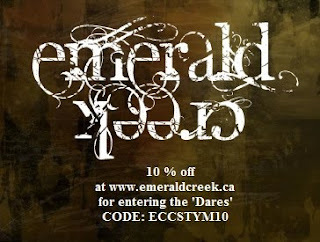 Just for entering our Dare Challenge, you can receive 10% off your Emerald Creek order. So what are you waiting for... we DARE you! Oh my gosh!! I am so excited!! Thank you so much!! !